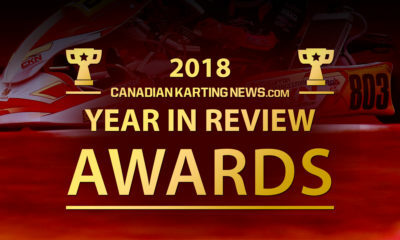 CRFKC Rok Cup Report: Usual Suspects on Top in Round Four – CKN | CanadianKartingNews.com | Because Karting is a way of Life! 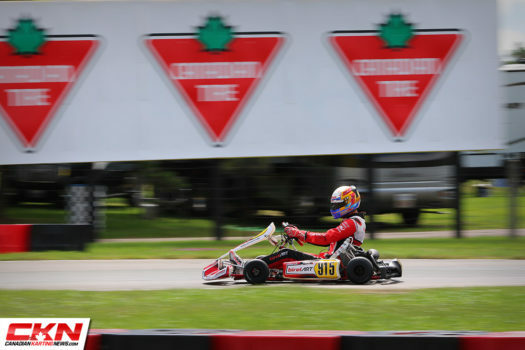 Unpredictable and incredibly challenging are what most drivers called Saturday’s conditions at Mosport Kartways for round four of the Champion Ron Fellows Karting Challenge. 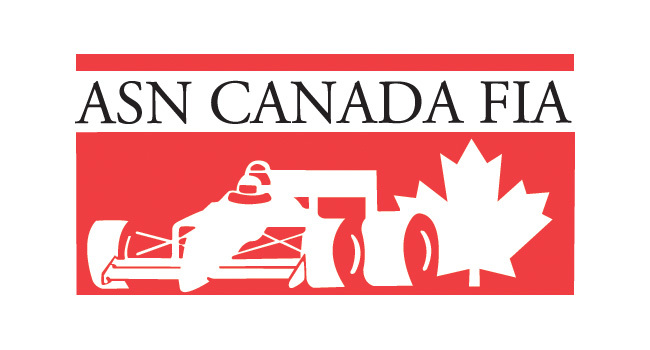 A mix of rain and sunshine created constant unknown all day long, forcing drivers and teams to make tire and setup decisions at the absolute last moments before their races hit the track, and even then, many were caught out when the weather changed time and time again as rain fell on three different occasions during the day. 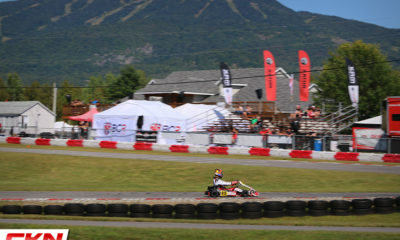 In the Rok Cup Canada categories, where drivers are chasing tickets to compete in the Rok Cup USA Rok the Rio event later this year in Las Vegas, Nevada, we witnessed the usual suspects taking control of their categories, with some extending their championships leads enough to unofficially secure their title before the final race of the year. 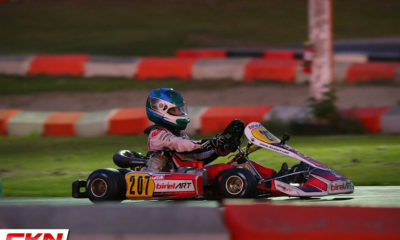 In Rok Senior, Ryan MacDermid (Prime/BirelART) managed both dry and wet conditions extremely well. 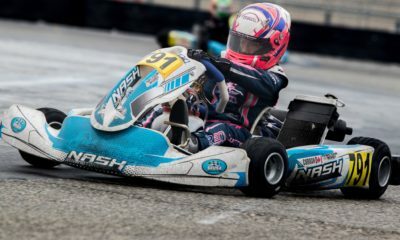 Running the Final on a wet track with the sun shining and steam rising from the asphalt, MacDermid mastered the conditions en route to a six-second victory, his second CRFKC win of the season. Robert Soroka (REM/Kosmic) enjoyed the best drive of the race, advancing from ninth on lap one to second at the finish, posting the fastest lap of the race in the process. Third place went to Nicholas Hornbostel (REM/Kosmic), who just barely held off Kai Dalziel (PRO/Intrepid) in the closing laps after Soroka slipped by both of them at the halfway mark. 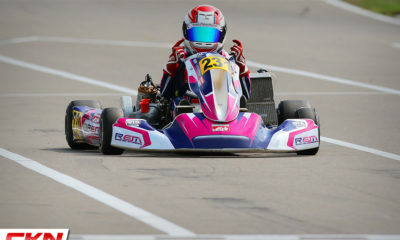 Mark Davis (REM/Kosmic) completed the top-five after starting the Final from fifteenth on the grid. With the win, MacDermid extended his points lead in the championship as Soroka overtook Cole Hooton (Prime/BirelART) for second in the standings. 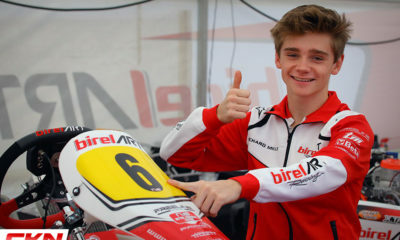 Hooton had a great start in the Final, initially staying with MacDermid until he spun off track and eventually finished ninth. 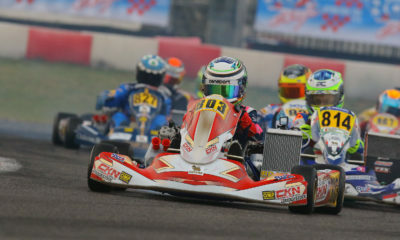 Dale Curran (REM/Kosmic) remained unbeaten in Rok Junior at the CRFKC after cruising to his fourth straight victory, unofficially securing himself the championship. The first class to hit the track for Qualifying featured rainfall almost immediately as the grid was released. 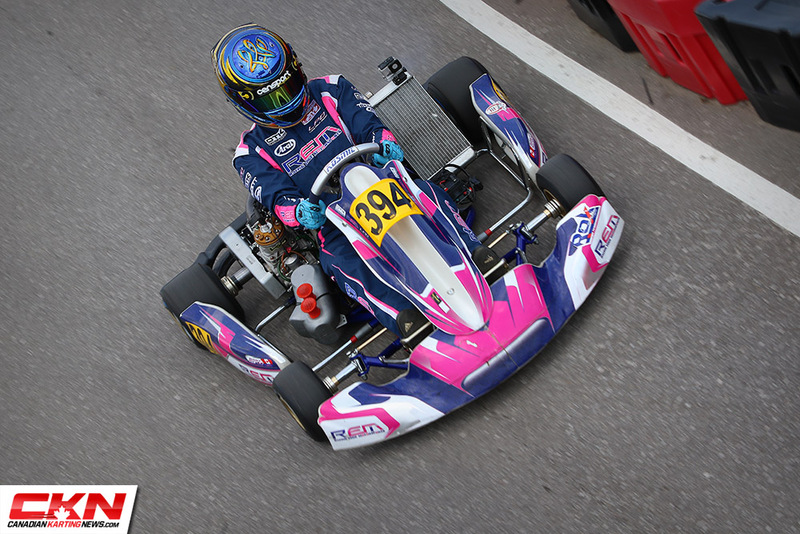 With all drivers on slicks, it was a real challenge just to put in a lap time, where Curran topped the session ahead of Nolan Bower (VSR/TonyKart) and Liam Rhodes (Goodwood/Exprit). 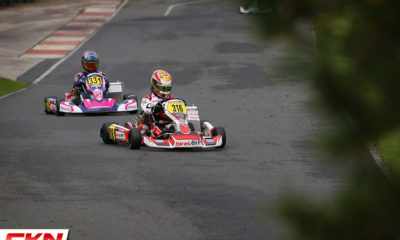 From there the class raced in the dry, with Curran controlling the pace. Bower should’ve started the Final alongside Curran, but he lost his PreFinal result after he was caught without a neck brace. 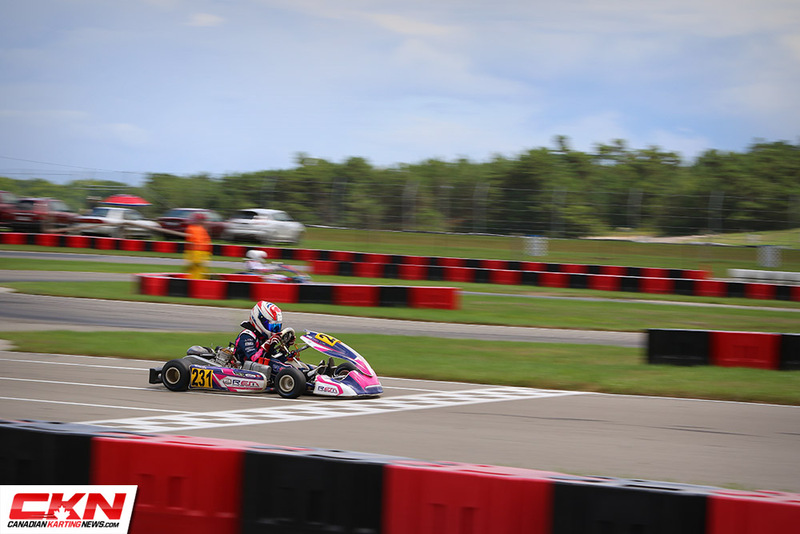 Starting the Final from the rear, Bower had two great laps to start the race, advancing past eight karts. 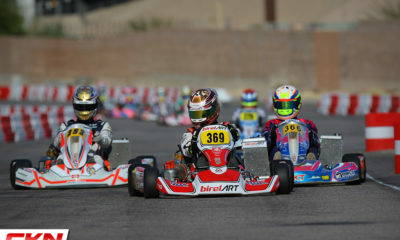 He then drove by Gianluca Savaglio (Goodwood/Exprit) and Andrew Maciel (Prime/BirelART) by lap five to regain second place, however by then, Curran was well out of reach. 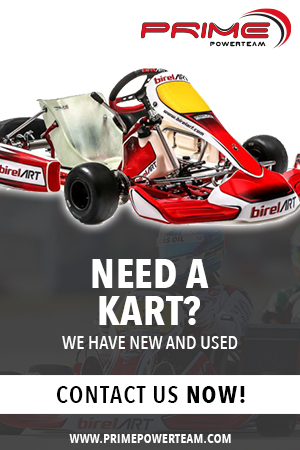 In the closing laps, Marcello Paniccia (Prime/BirelART) worked by his teammate Maciel to steal the final step of the podium as the top-three in the standings went on to finish 1-2-3. 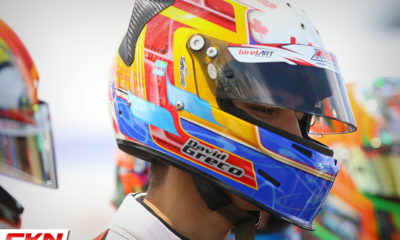 In Rok Shifter we saw the return of Davide Greco (Prime/BirelART) to the series. The round one winner was unstoppable throughout the day and he would take home the victory. After missing rounds two and three, Greco is out of the championship running, which will come down to Prime Powerteam teammates Justin Luik and Xigran Tang. Luik finished second behind Greco while Isaac Marritt made his first CRFKC start of the season and came home third. Tyler McCullough, who entered the weekend second in the standings sat out the race with an injury and gave up his chance at the title. 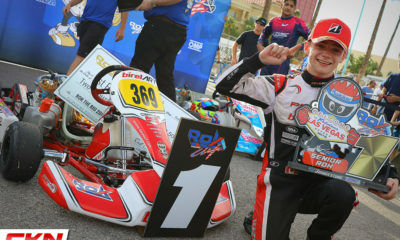 In Mini Rok, Ayden Ingratta (AI Motorsports/Kart Republic) easily drove to victory after his closest competitor, Frankie Esposito (Prime/BirelART), started the race from the pit lane. 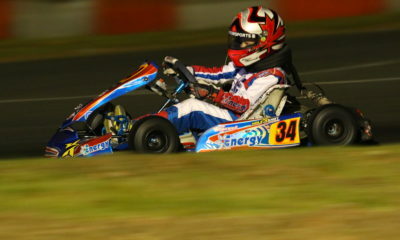 Esposito recovered to finish second ahead of his teammate Cooper Simpson. 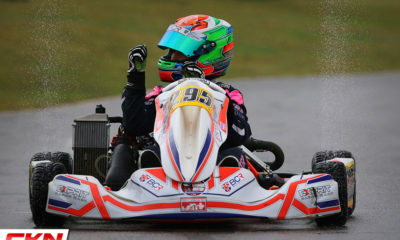 Alexander Mankovski (Goodwood/Intrepid) drove home his first victory of the year in Rok Masters as he was able to handle the wet conditions better than his fellow competitors. 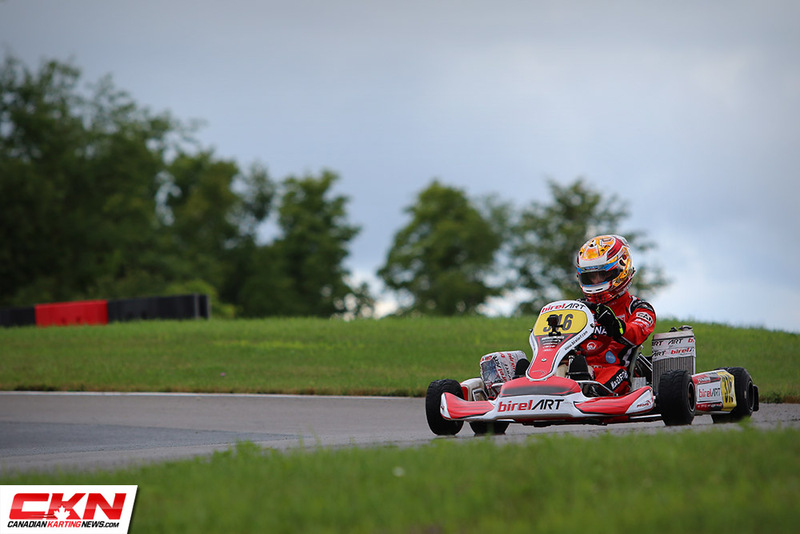 Joe Crupi maintained his position at the top of the standings after finishing second while John Cariati completed the podium in his first start of the year. 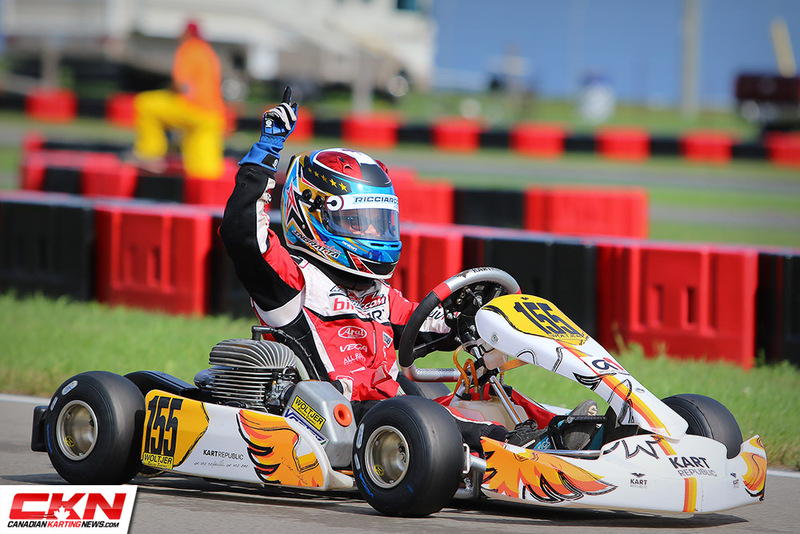 Champions will be crowned in just over a months time when the series returns to Goodwood Kartways for the final stop of the Champion Ron Fellows Karting Challenge season. 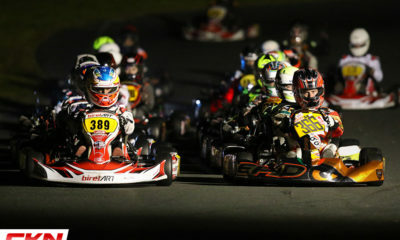 The annual night race at Goodwood will provide plenty of excitement as drivers look to close out their seasons on top of the podium.